Listen. Do you want to know my secret? Do you promise not to tell? Desperation is a stinky cologne and South Australia’s vapid Premier, Jay Weatherill is drenched in it. With an election in March, and terrified that another wind power output collapse will deliver another mass load shedding event or statewide blackout, Weatherill plugged into a mega-battery supplied by Elon Musk for a cool $150 million, that would provide the state with power for all of four minutes. And, true to his ‘green’ street-cred, he lined up 276MW worth of diesel fuelled jet engines (Open Cycle Gas/Diesel Turbines) for a figure believed to be north of $400 million. Although Jay is being pretty coy about the cost to South Australia’s taxpayers. As Victoria prepares to install 100 emergency diesel generators to bolster power stocks this summer, Labor members of South Australia’s public works committee have voted to keep secret the full cost of Jay Weatherill’s generators. It is understood the emergency back-up generators installed last month in South Australia will cost taxpayers more than $400 million. The exact cost and details of the government’s procurement of the generators was provided in camera to parliament’s public works committee on August 10, but the committee has blocked all attempts for the information to be made public. 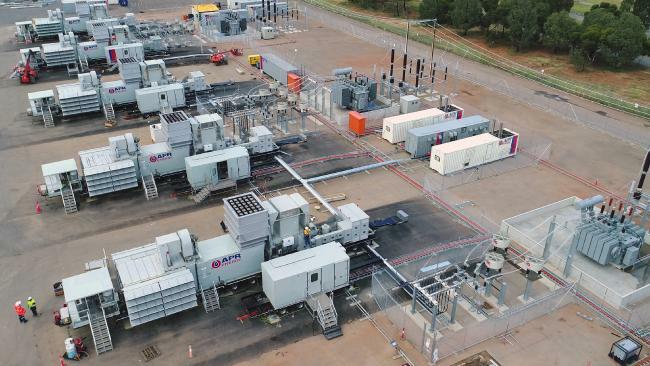 South Australian Energy Minister Tom Koutsantonis said the contract to purchase the generators was “commercial-in-confidence at the request of the company”. “South Australians got a very good deal … and the company does not want the details of that deal to negatively impact current negotiations with other jurisdictions,” he told The Australian. In Victoria, the Environment Protection Authority last week approved an application to install about 100 emergency diesel generators at the site of the Energy Brix decommissioned power station in the ­Latrobe Valley. South Australian opposition frontbencher David Pisoni, who sits on the public works committee, said the Weatherill government’s “contempt for South Australians” was on display last week when Labor members of the committee voted to keep secret the full cost of the generators. “Once again Labor has concealed from South Australians how much of their money Jay Weatherill has splurged on dirty diesel generators,” Mr Pisoni said. Mr Pisoni said the government could have kept the coal-fired Northern Power Station open for just $8m a year. Mr Koutsantonis said the purchase of the generators “falls within” the $550m budgeted for the government’s go-it-alone energy plan. “The reason the Liberals are so desperate to know the cost of this critical asset is because they want to know exactly how much they can privatise it for,” he said. Jay’s Jets: winning re-election comes with a secret price tag. One thing Jay Weatherill will never be accused of is running an open and transparent government. Although, it seems that the Liberal opposition have finally determined to throw a little light on the subject. A stand-off between South Australia’s two major parties over the secret cost of the state’s emergency diesel generators has been resolved as the fate of $700 million of infrastructure projects hung in the balance. Opposition MPs yesterday warned they would not attend a public works committee meeting due to authorise a range of projects unless Labor members changed their positions and allowed the public to know the total cost of buying emergency generators to help avoid blackouts this summer ahead of the March state election. Infrastructure Minister Stephen Mullighan had warned before yesterday’s meeting that if Liberal MPs prevented discussions from proceeding by boycotting the committee it could stall the projects at the final hurdle. “We are ready to appoint contractors on many of these projects and get South Australians working, but the Liberals are trying desperately to block these investments,” Mr Mullighan said. But yesterday Labor was the first to blink, with the government promising to release costings next month. It is understood the emergency back-up generators will cost taxpayers more than $400 million. The exact cost and details of the government’s procurement of the generators was provided to parliament’s public works committee on August 10, but the committee has blocked all attempts for the information to be made public. Opposition frontbencher David Pisoni said he welcomed the government’s “backdown on revealing the total cost of its dirty diesel generators”. “I will move to schedule a January meeting of state parliament’s public works committee to examine the deal in full,” he said. 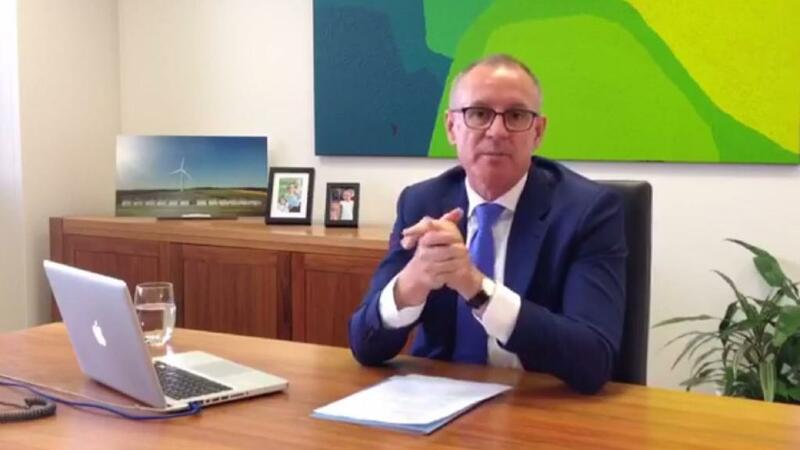 “This information will enable all South Australians to know whether Premier Jay Weatherill has blown the budget on his half-baked $550m energy plan. There is just so much evidence of absolute treachery by the Weatherill government in South Australia but the liberal opposition seems totally unable to score a point of him – why ? I can only assume they are happy to be getting paid every fortnight, who cares about the consumers or local businesses going broke – an election 3 months away, is the opposition in a coma, what is their solution? Preparing to be beaten by Nick Xenophon, who hates the wind industry. See the front page of The Australian today. The fools who voted for Weatherill deserve every bit of pain they get. With No jobs and no electricity you would think that South Australians would be on the verge of revolution but in the magic pudding land of OZ they are quite happy and will vote for Jay at the next election. Thats the way it is in fantasy land.